Intel's following the money into higher-margin businesses. With Intel’s forecasts projecting the PC could be the smallest moneymaker five years from now, the company has gone “data center first”—giving Intel’s server business first crack at new manufacturing technologies. It’s another sign of massive change within Intel, as the traditional PC business is shoved to the side. In a slide presented during Intel’s investor day on Thursday, the company showed off how the total available market (TAM) for its PC CPU business was just $30 billion or so, less than half that of the data center. The TAM, as its known, projects the maximum available revenue Intel could pull in if it owned the entire market—which won’t happen. It’s an excellent guide to which segments Intel is prioritizing, however: the data center, non-volatile memory like flash and its new Optane, plus mobile communications and various embedded segments. Intel clearly sees opportunities in anything else but PCs. Historically, if Intel jumped ahead to a new manufacturing technology, its PC chips would get first crack. Now, Intel’s premium fab lines are reserved for the Xeon and other chips being shipped to cloud providers and the data center. “It’s a big deal,” according to Intel’s data center chief, Diane Bryant. What this means: This is Intel putting its money where its mouth is. Venkata Renduchintala, president of the Intel Client and Internet of Things businesses and Systems Architecture Group, spoke glowingly on Thursday of how the PC business grew revenue as PC shipments declined. (Last week, Kim Stevenson, who was second-in-command, left after six months on the job.) But the cloud and the chips that power them are headed in the opposite direction: up. It may be unfair to characterize funding the PC business as throwing good money after bad, but that’s a bit of what’s going on here. 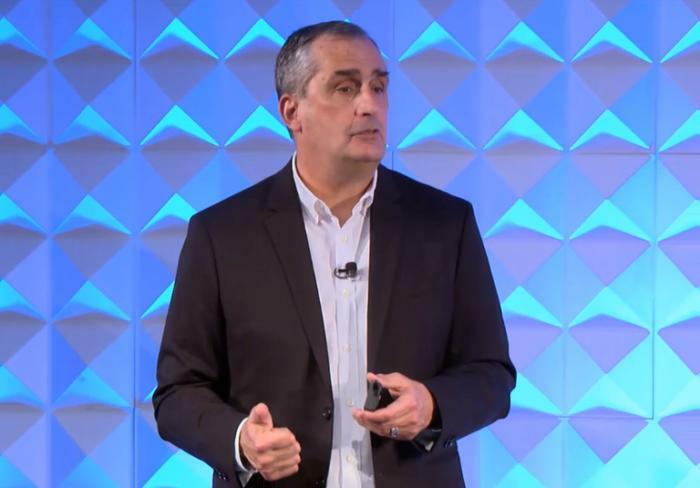 “2016 was probably the biggest year of transition in Intel’s history,” Intel’s chief executive Brian Krzanich said in introducing the company’s investor day, which familiarizes Wall Street with the various components of Intel’s businesses. Intel used to be a fairly simple company: It manufactured chips for the laptop PC, the desktop, as well as for servers. Today, its core microprocessor business is complemented by forays into memory, networking, the Internet of Things, wireless communications, even software. “All of the things we do either produce or require large amounts of data,” Krzanich said. Intel’s always had a strong interest in the server market, and a quick look at Intel’s price list shows why: Desktop Core chips command $300 or so apiece, while a single Xeon chip for servers can be priced up to almost $9,000. For what Bryant called the upcoming “10-nm+” node, as well as the 7-nm manufacturing node to follow, Intel’s data center chips will be first on those lines. Historically, it simply wasn’t possible for the Xeon to be first onto the new technology, as Intel couldn’t ship enough chips to justify the cost. The massive size of Xeon chips also meant a higher risk, as the inevitable manufacturing defects of a new process could ruin the finished product. Now, with a modular packaging structure in place, Intel can afford to shift to its data center-first strategy, she said. That doesn’t mean the PC is dead, but it isn’t commanding the lion’s share of attention at Intel anymore. Intel’s roadmap toward Cannonlake looks like business as usual. Renduchintala opened his presentation by essentially bragging that Intel had raised its operating profits by 30 percent as the PC market declined. Part of that, he said, was thanks to fat-margin Core i7 chips, which hit an all-time high in percentage of Intel's total CPU sales. Renduchintala said he expected that trend to continue. Intel has previously identified virtual reality as a key driver for the industry, and in one VRMark benchmark, the company found that VR performance improved by 36 percent when moving from a Core i3 to a Core i7. Renduchintala didn’t offer much in the way of a PC roadmap, but he did confirm that Intel’s upcoming Cannonlake chips will deliver a performance improvement of more than 15 percent compared to its Kaby Lake chips, based on the Sysmark benchmark. 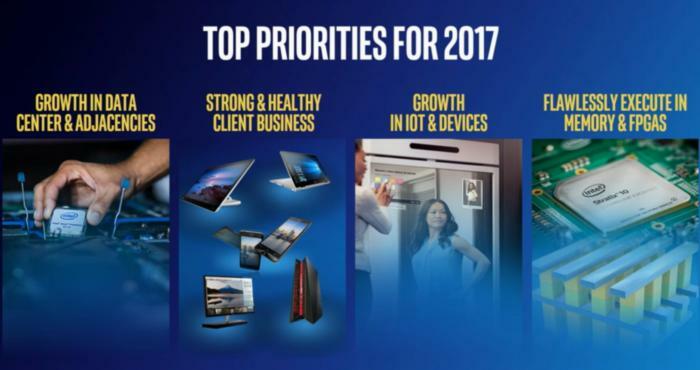 Intel’s 2017 priorities look beyond the PC, too. Unfortunately, Intel also failed to provide a roadmap for its Optane product, which Intel has said could revolutionize the PC by serving as a lightning-quick source of local storage. 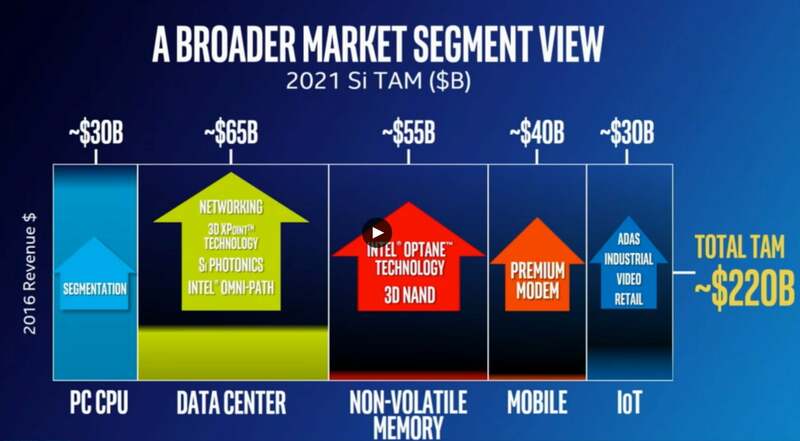 Rob Crooke, Intel’s memory chief, said Intel was already working on its first three generations of its Optane technology, and it's apparently shipping to data center customers. But there was no word on pricing for PC customers.